In 2019 it’s tough to know the difference between reality and fake news. If I told you that Apple was releasing a home console complete with joystick controls, it might not seem that strange. If I told you UK MPs have rejected every single Brexit/Remain option going today - you’d probably laugh hysterically at an idea so preposterous. But that still hasn’t stopped numerous games and technology companies from trying to fool us all. From chat platform Discord to those pesky Angry Birds, shenanigans are afoot. We’ve rounded up a few of the best April Fool's gags today. 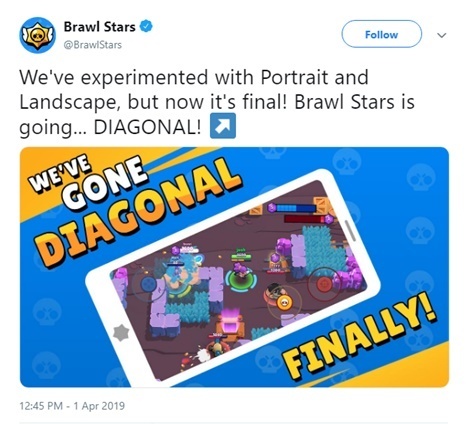 After experimenting with both portrait and landscape during its long soft launch, post-global release Supercell has now seen the error of its ways and gone for an innovative diagonal view for Brawl Stars. To the horror of any Discord user who has deliberately gone out of their way to not look at the glorious black background, any user loading up today will have been greeted to the news that it has deleted light mode. Google has bought a 51.2 per cent stake in the Burning Man Festival for a scintillating $1.2 billion. According to Google’s chief of Fun and Games division Marcus Fooly, the tech giant doesn’t want to change too much about the event - it just wants to compliment the essence of the Burn. 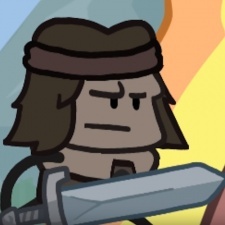 From the creators of the triple-A online multiplayer survival game Conan Exiles, comes a cartoony massive multiplayer shared screen experience featuring nine billion randomly generated dungeons - “so random you may find your own soul trapped in a puppy from the future” - and, of course, a battle royale. If Futureplay says singing in real life will make your crops grow faster, it must be true. There’s even a video of someone doing it. As the Angry Birds YouTube channel states, these Everton football players are competing in a “100% fair, absolutely no cheating, completely legitimate test of pure footballing skill and artistic prowess”. Mobile intelligence firm Apptopia has launched a new DATA fragrance that lets you give others that whiff of market research and the true aroma of positive ROI. They’ve done it. Hot off the back of Google Plus, Google is giving us more of what we want: it’s decoded the language of flowers. Just in case you forget to water your plant, now it’ll call you out itself about such neglect. The world’s first AI-powered virtual gaming assistant optimises your games, coaches you on getting better at your favourite games, while the rage converter technology translates your outbursts of swearing and negativity into something more constructive and positive. Internet trolls, be gone. Gamers of the world, meet R.O.N. The world's first AI powered virtual gaming assistant. For those of you in the UK, check out this realistic, all-day, spare-no-expense livestream set in UK parliament with MPs spending all day moving their mouths before rejecting all possible leave and remain votes around the hilariously named 'Brexit'.